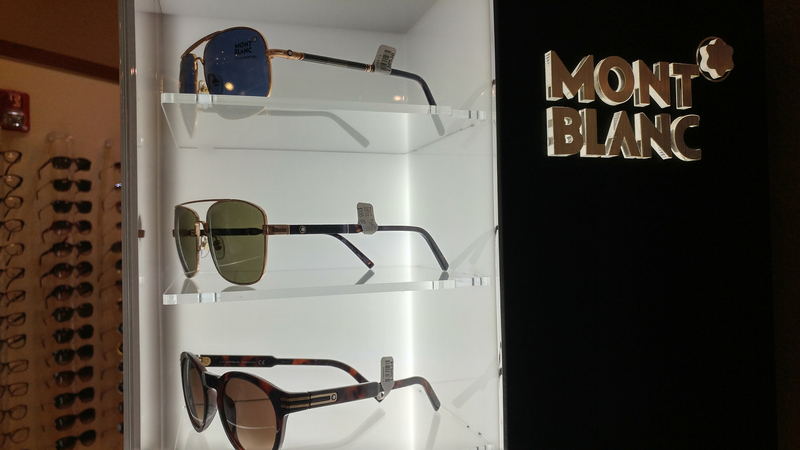 Absolutely Optical carries over 60 brands of designer eyewear and sunglasses. Just some of our brands include: Cartier, Charriol, Chanel, Gucci Prive, Sospiri, Dior, DITA, Porsche, Barton Perreira, Gold and Wood, Caviar, Cazal, Persol, Coach, Prada, Tiffany, Versace, Roberto Cavalli, Giorgio Armani, John Varvatos, Rayban, Maui Jim, and Costa del Mar. When prescription lenses were first invented they were actually made of glass. This was a hard substance and fairly resistant to scratching. There were no other options available. Today’s lenses are much improved and our choices are numerous. Lenses are lighter, stronger, tintable... some even darken automatically in the sun or in the car. We also have various coatings, mirrors, and coloring options. Basic eyeglass lenses are made of a special plastic resin called CR39. More advanced lenses are made in special materials to achieve a thinner lens profile. Trivex and Polycarbonate lenses are virtually bulletproof and ideal for sports glasses or children’s glasses. Special aspheric grinding of any of these materials further reduces the thickness of the lens. With so many options, how do we keep our lenses in tip top shape... clean and scratch free? In most cases a single drop of dishwashing liquid and lots of water will do the trick. (You have to be sure to get all of the soapy film off of the lens.) Dry the lens with a lint-free microfiber cloth. Avoid paper products such as tissue, paper towels, or toilet paper since the wood fibers in them can cause very fine scratches on the lens over time. If you are on the go, you will enjoy the convenience of the Absolutely Optical specially made optical cleaning cloths. We recommend to first dust the lens with the microfiber cloth to remove any large particles. Then lightly wipe the lens with the cloth to remove almost all grime. No need for soap and water. In rare cases when the lens is not completely clean, we also have available the Absolutely Optical Cleaner which is safe for all of today’s lens types. We recommend to keep some at home, some in the office, some on the boat, etc. All of the care and attention to preserving our lenses goes to waste if we don’t have a safe place in which to keep them. People often take off their glasses throughout the day for various reasons. When the glasses get laid down sometimes they face some pretty interesting fates. At Absolutely Optical we have seen glasses that have been sat upon, stepped upon, knocked to the ground, chewed by pets, etc. 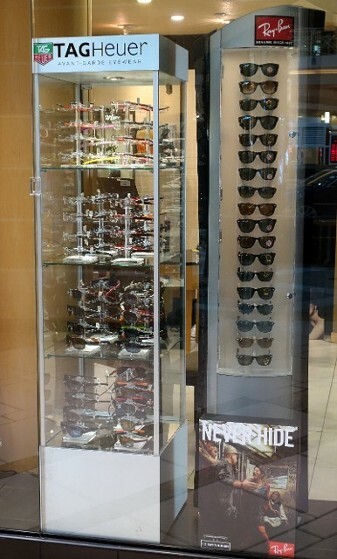 There are many types of cases for eyeglasses. For instance, we have cases in limited edition Nicole Miller silk prints. We have gleaming metallic boxes to match the color of your car. We have patent leather hard cases. We have have genuine leather cases. Of course, we carry all the designer name cases as well. From large to small, the possibilities are enormous. The fashion and functionality has never been better! 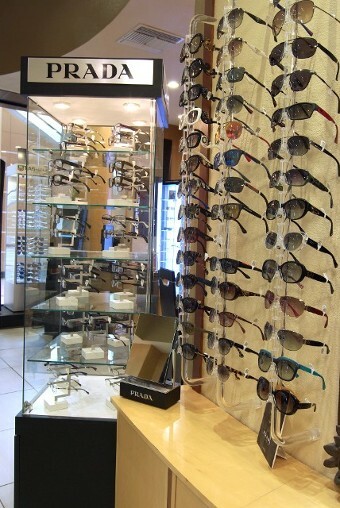 We are often asked why sunglasses from an optical store cost more than those from a drugstore or department store. The answer is simple; the ones that cost more really are superior! The frame quality is better. The clarity of the lenses themselves is distortion free. It is best to purchase your sunglasses from Absolutely Optical. There they are professionally fitted to each client's unique face... a service you just cannot get at a department store or drug store. Also, after wearing them a while they almost invariably work their way loose or need some type of professional adjusting. Finally, in the event of a warranty issue Absolutely Optical is right there to help! At Absolutely Optical we sell only the finest sunwear. The frames are made from the best materials. Our titanium and stainless steel frames will not corrode nor leave marks on your skin. Our exclusive virgin acetate plastic frames will not lose their beautiful colors and gloss. The styling is impeccable. You will never look better! The frame is only part of the story. Today’s science and technology enable us to make sunlenses which truly protect us from UV sun damage to the delicate skin around the eyes as well as the eye’s cornea, lens, and retina. Sunlenses need to be distortion free which protects us from eye fatigue. We offer the largest selection of beautiful shades of lenses including colored mirrors. Polarized lenses can be in gray or brown. And, all are scratch resistant in either prescription or non-prescription. There are many types of annoying glare which disturb one’s vision. A common misconception is that a tint will solve the problem. Actually, tinted lenses can help, but do not solve the problem completely. They work best in bright environments; but, remember tinted lenses make everything seem darker when indoors. You definitely should not drive at night with tinted lenses. The most common cause of glare is UV rays from fluorescent lights, television, computer monitors, and sunlight. The best fix for this problem is a UV absorbing coating on the lenses. The coating is virtually colorless and it blocks 100% of annoying UV rays. Quality coatings are scratch resistant, invisible, and quite durable. A second form of glare is from reflected light. This attacks us from sidewalks, beach sand, hoods of cars, open sky, bodies of water (when boating). The correct way to minimize this form of glare is by wearing a polarized lens. These are available in both prescription and non-prescription forms. But, be sure to get quality distortion free lenses... not the cheap plastic drugstore version. If you notice light reflections on your lenses when outdoors, have we got a lens for you! At Absolutely Optical we offer the newest generation of Anti-Reflection lenses. They are almost invisible when you look through them... and when people look at you! Our special lenses are very durable and easy to keep clean. They can be made with or without a tint. We even have a version especially made for driving at night. Everything looks brighter and more clear with these lenses... and no more glare from those headlights! Contact us today at (813) 348-9696 to setup an appointment and discuss your eyewear needs.